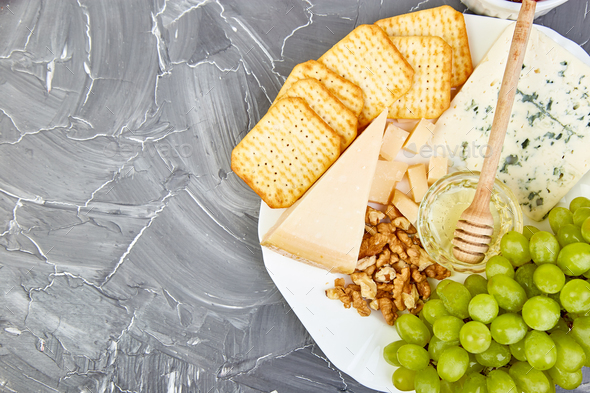 Cheese plate variety, and wine in glasses on grunge grey background . Italian antipasti wine snacks set. Flat lay. Copy space.